That wonderful and enduring quote is from “The Essay on Criticism”, a satirical work authored by 18th Century English Poet, Alexander Pope. You’ve probably come across this quote a number of times. Its meaning is pretty much cut and dry. Everyone makes mistakes. Thus, people who forgive those who make mistakes are acting in a divine or god-like manner. In content writing, mistakes do happen. Even if you run your content through the latest spelling and grammar checking software, there remains the slight possibility of a mistake or mistakes getting through. After all, software programs are man-made. For sure, even your favorite writers have had their fair share of content writing mistakes. However, just because mistakes are part and parcel of content writing, does not mean that you should allow them to happen. Unlike the real world, the people who patronize the Internet may not be as forgiving. Sometimes it only takes one mistake to sink the entire content writing ship. Here are 9 content writing mistakes that happen even to the best writers out there. Writer’s block is a very real thing. The last thing you should do as a content writer is to deny its existence. Because once you get Writer’s Block, the entire creative process will come to a standstill. You may find yourself staring at a blank screen for hours, maybe even for days or weeks. The best bloggers on the Internet get Writer’s Block. In content marketing, long-form blogs – those that exceed 1,900 words, generate great results. In addition to writing extensive blogs, these writers try to publish 16 blogs per month in order to drive more traffic to their websites. With such a punishing writing schedule, ultimately the blogger will burn out. Content writing is more than just writing. There are different types of research involved – market, industry, marketing, and keyword to name a few. All told it may take as little as 4 hours and as much as 2-3 days depending on the topic to write a well-written, accurately-researched 1,900-word blog. Therefore, if you are experiencing Writer’s Block, you may be exhausted. The best remedy is to simply back off. Don’t try to power past Writer’s Block. You will only increase the chance of producing substandard content. When your mind has become fully relaxed, the well of ideas will be filled up with creativity and you will be able to write freely and effortlessly again. In November 2018, Tiger Woods made his first hole-in-one in more than 20 years. That’s The Tiger Woods, the winner of 14 Majors and 80 PGA titles. If the world’s greatest golfer cannot hit the ball straight into the cup in his first swing, what makes you think you can get your content right the first time? Creating compelling content is not about perfection. It is about presenting a finished product that will be enjoyed by your readers. Don’t take editing for granted. Just because it feels right does not mean it reads right. You can always find ways to make your content better. When you are tired, it becomes harder to process the way your content is currently written. The best thing to do is to simply save the file and review it the following day. It could be how certain statements are phrased. Perhaps some sentences and paragraphs are too long. You’ll be surprised that by switching paragraphs or sentences around, the context becomes clearer. The difference between today’s version and yesterday’s draft will be like night and day. Coming across a misspelled word or errors in grammar is like finding hair in your soup at a fine dining restaurant. Chances are you will never come back. The same could be said about your readers. These types of mistakes can spoil the entire experience. Worse, it will reflect on your approach to writing. Your readers will think you are irresponsible, negligent, and sloppy. It will also send the message that you don’t care about your readers. Review your content frequently. You can do this after every completed section, page, or before you save the file. Ask a friend or associate who has writing or editing experience to review your content. Run your content through a spelling and grammar checker software program. There are no limits on the number of times you want to review your content. As a rule-of-thumb, keep reviewing until you are 100% confident that there are no errors in spelling and grammar. For content to have value for your readers, it must be relevant, useful, and informative. If you do not perform accurate research, your content may give erroneous and outdated information to your readers. It will neither be relevant, useful or informative. Research is the substance of your content. Without accurate data, your content will have less meaning and value. The reader will not be able to derive any information that will address his/her needs or concerns. One reason why some writers overlook the value of research is because they regard themselves as experts in the field. They know everything. If you were writing for a financial publication, how would you know whether to recommend a “buy” or a “sell” of a particular stock if you are not updated in trends, industry developments, and company information? Publishing content carries with it a sense of responsibility. You should be confident about the quality of your content before posting it on the Internet. For those who do research, it is important to validate statistics, facts, and figures before using them as information in your content. Otherwise, its value will diminish and lose relevance. First, try to make it a point to use the latest data available because trends can change within a period of time. When doing a search, always include the year in your query. For example, instead of just writing “number of businesses with websites” on the search query box, you should write “number of businesses with websites 2019”. If data for 2019 is not available, the search engine will get you the latest data it can find. Second, use only reliable websites as sources of information. For example, when writing topics about business, websites such as Forbes, Bloomberg, and Reuters are great sources of information. Finally, always cite the reference in your content. A simple hyperlink will be enough to show the reader that you did not pluck the numbers out of thin air. The outline serves as your guide for organizing the information in your content. It adds structure to your writing, makes the process flow smoother, and the sessions more productive. An outline sets up the framework of your content. In its most simplistic form, an outline will have an introduction, the body, and a conclusion. You can use bullet points to summarize the key details under each section. There are no clearly defined rules on how to use an outline. You do not have to start the process by writing the introduction. For example, when writing a list-type or “How To” articles, you can start with the body of the blog. By attacking the “meat and potatoes” of your content first, you will develop a better idea on how to go about writing the introduction and conclusion of your article. A 2016 study by the Content Marketing Institute showed that marketers considered blogging as the fourth most effective vehicle for delivering content. For this reason, 42% of marketers try to put out multiple blogs every week. As mentioned earlier, long-form blogs have been proven to deliver the best results for brand-building, lead generation, and search ranking purposes. However, writing long-form blogs too frequently will wear you out. In time, the quality of your work will suffer. It is nice to set targets for your blogging schedule but if the trade-off will be a high percentage of poor quality blogs, the effort will not be worth it. You will be better off following a writing schedule that you can comfortably accommodate. Always write with your audience in mind. What issues are important to them now? How can I apply my experience and expertise to help my audience find the answers they need? What is the best and most effective way to present my content to them? The biggest mistake a writer can make is to write for himself/herself. From our experience, the business owner does the content writing for his/her website. They believe that as experts in their field, they are the most qualified people to write about the subject. That is true. However, writing about the subject and articulating its meaning to the reader are 2 different things. Business owners tend to become too technical when they write. It is understandable because for them technical jargon is part of their natural way of communicating with others in the industry. Your audience is different. Many are not as well-versed as you on the topic. That is why they are on your website. They want to learn from you; your experience and expertise. You will have to write in a language that can easily be understood while keeping the overall value of the content untouched. Pronouns are part of writing. However, there are writers who tend to abuse pronouns and end up leaving the reader hanging. This could be bad – What could be bad? These should be discontinued – What should be discontinued? Those are wrong for you – What are wrong for me? That was not necessary – What was not necessary? Don’t assume that the reader can infer the meaning from the context. Again, write with the audience in mind and make sure reading your content is a pleasurable experience. This latest development on the scandal can be bad. These medications should be discontinued. Those running shoes are wrong for you. That final remark was not necessary. Writing is one of the first skills we learn growing up. As soon as we can hold a pencil in our hands, writing is one of the most natural things we can do. Internet-based content is not your ordinary type of content writing. There is more to the process than just putting together facts, other forms of information, and make sure these are presented without glaring errors in spelling and grammar. On the Internet, where 4 Billion people are searching for valuable information from across more than 2 Billion websites, your primary objective is for your content to be found by its target audience. This means your content must be optimized for the Internet. Thus, in addition to the mistakes that you have to avoid, you should also factor in SEO in content writing. You have to conduct keyword research. You have to consider the optimum keyword density in your content. Keywords have to be strategically embedded in your content. You have to be mindful of your content’s ease of reading for your audience. Did you notice our paragraphs contain no more than 3-4 sentences? Did you also notice that our sentences run fewer than 40 words? These techniques will help make your content more readable. Even if you are a seasoned writer, your time is best allocated to running the core functions of your business. Your best option would be to outsource content writing to qualified third parties like us. 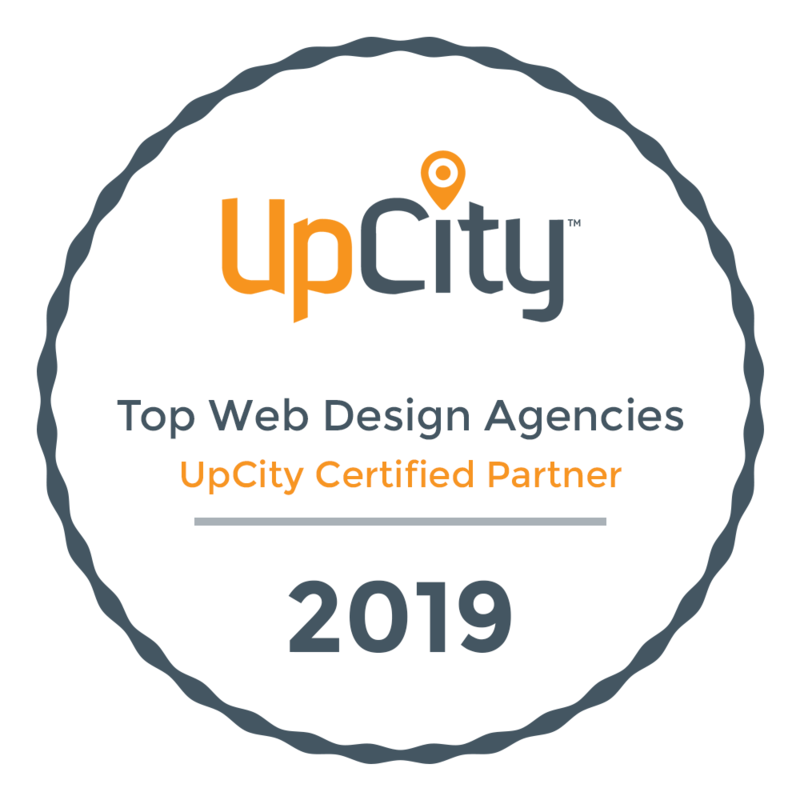 Our articles have been selected as among the best in the business by UpCity. Content is king and content marketing delivers results. If you want to know how our content writing can help your business achieve its goals for 2019, please feel free to give us a call or an email.